TRUFFLES: Mommy, Mommy...come quick!!!! There's a ginormous box on our front step!!! Santa came early!!! I knew he'd be extra good to me this year because I'm such a good kitty! MELISSA: Calm down, sweetie. Santa didn't bring that box, the FedEx man did. These are the products we got from Whole Foods Market's new Whole Paws line. 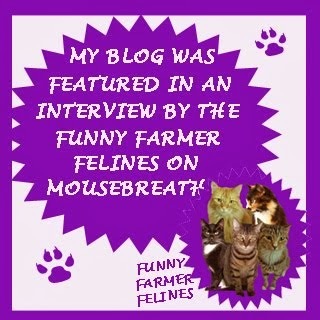 TRUFFLES: Oh, I remember when we signed up to blog about Whole Paws! Well if it's pet food, it's still for me, right? What's so special about it, Mommy? 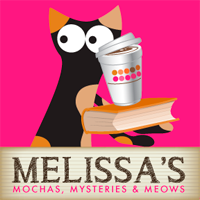 MELISSA: Excellent question! 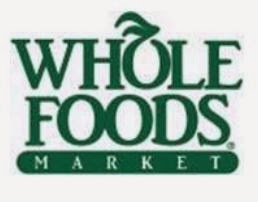 Whole Paws is Whole Foods Market's NEW brand of premium quality products made with real chicken, salmon and other wholesome, nutrient-rich ingredients. Whole Paws contains NO corn or soy, NO animal by-products, NO artificial colors, NO artificial preservatives and NO added sugar, and the new line meets all of Whole Foods Market's strict quality standards. Plus, I won't have to make an extra trip to the pet store to buy this food. It combines grocery store convenience with specialty store quality! 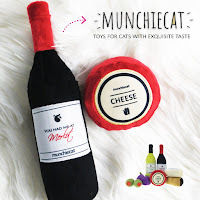 TRUFFLES: That's paw-some, Mommy! Let's see what's in the box! (peeks in) WHAT'S THAT??? THAT'S DOG STUFF!!! You're not thinking about bringing a woofie home are you??? MELISSA: No, no...calm down. We were sent dog AND cat stuff. We'll donate the dog food to the shelter. 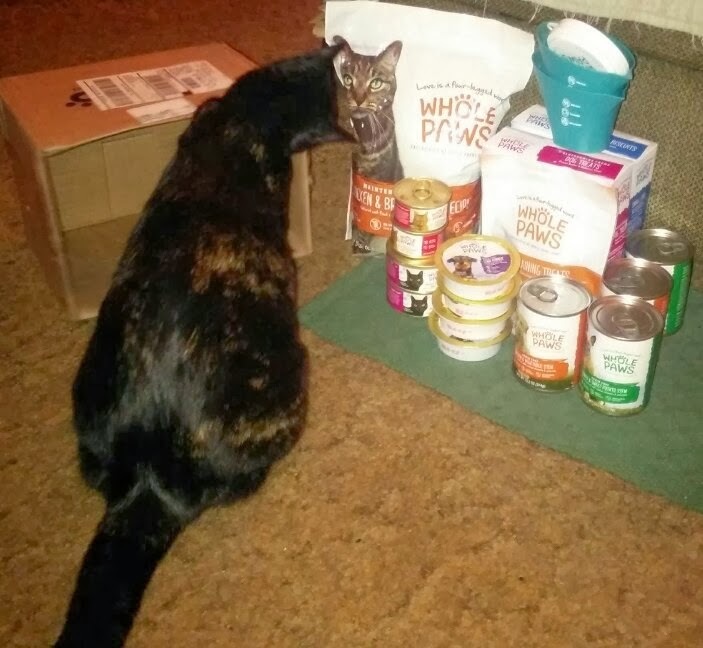 Let's see, they sent us 2 cans of chicken and vegetable stew, 2 cans of turkey and sweet potato stew, chicken training treats, peanut butter and molasses treats, small dog biscuits, 2 trays of lamb dinner and 2 trays of chicken dinner. I love the logo and packaging, don't you? 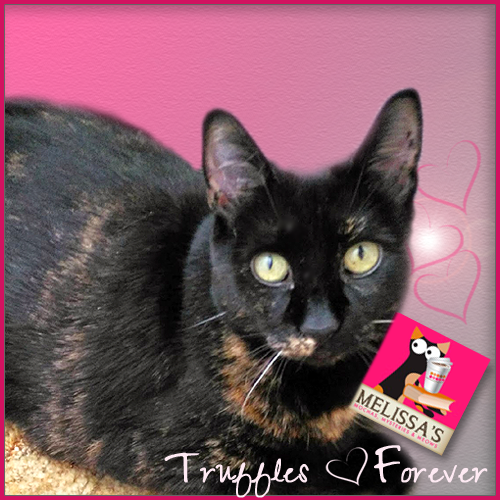 TRUFFLES: Yeah, yeah, what's in there for me? 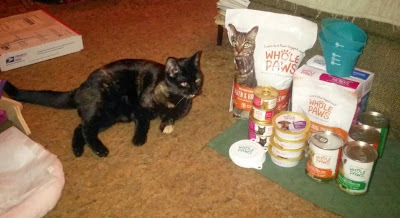 MELISSA: For kitties, we got 2 cans of beef and chicken dinner, 2 cans of shredded salmon and chicken in gravy, and a bag of Maintenance Formula chicken and brown rice kibble. 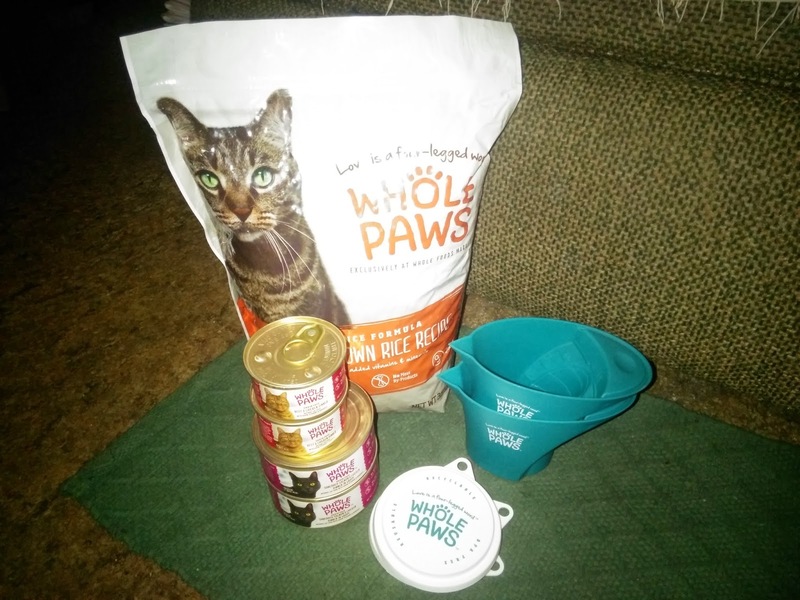 We also got 3 lids for wet food cans and 2 dry food scoops with the Whole Paws logo on it! 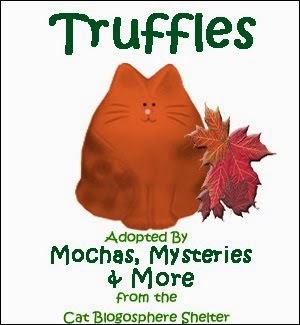 TRUFFLES: Wow, thanks so much Whole Foods Market! I can't wait to try it! Mommy, open a can stat!!! 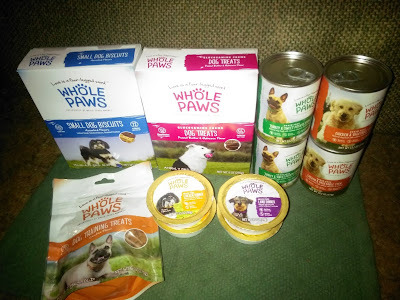 WholePaws® slogan: "Love is a four-legged word"
We need to find a Whole Foods Market so we can try that food! Cute AND informative post! Good work making sure no woofies will be joining the family, too...Hahameow! Wish the dry food didn't have rice in it. Hmmm, I only got ONE scoop and TW gave it away along with the dog food. Great post. Is there carageenan? Interested in seeing the flavors! This post is very nice. 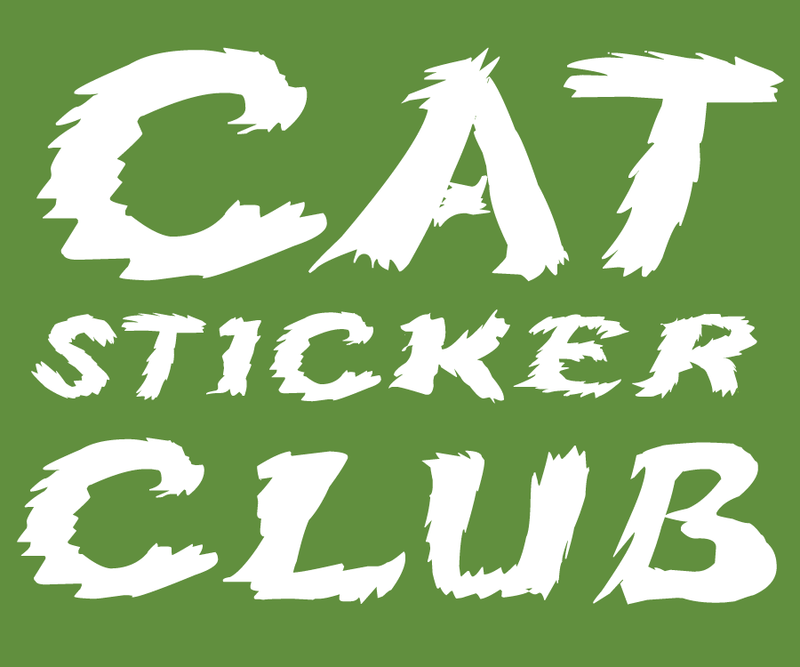 The cats are cute.